If you don’t want to see even the single spaces you need to replace all the spaces with nothing. 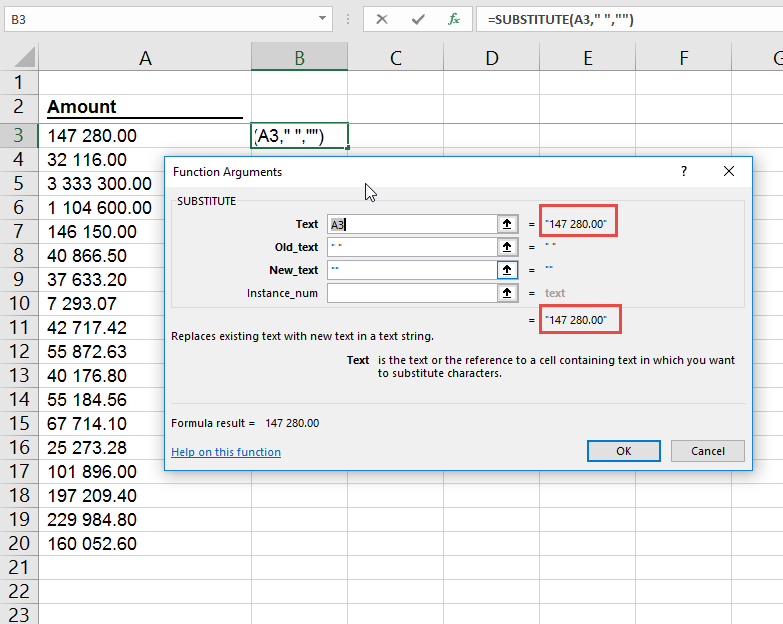 If you were using TRIM in a formula then the correct formula to rather use is SUBSTITUTE. The instance number is left blank as we want everything to be replaced. 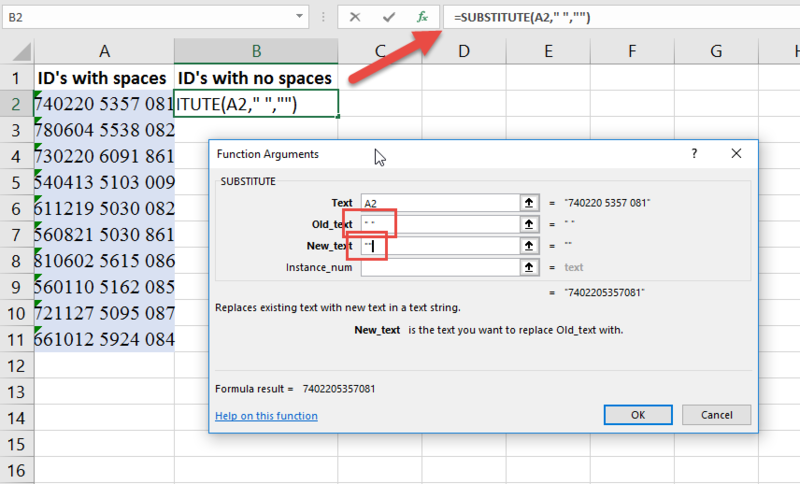 If you do the above, or do a Find Replace, and Excel seems to ignore it and leave the spaces in, then it is likely that the ‘space’ you are looking at is not a space generated by your keyboard. 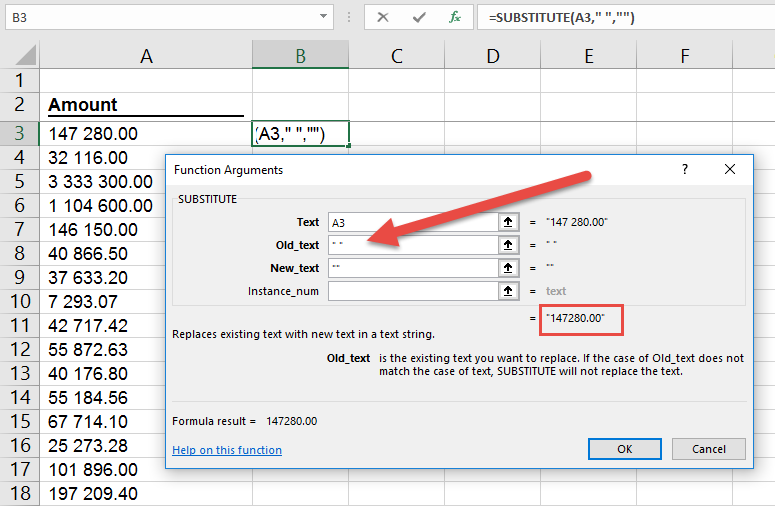 There is an explanation for all of this but the quick fix is to copy the ‘space’ and paste that into your substitute function. So below we try the same thing and it doesn’t seem to make a difference. Now Excel will replace these so called spaces with nothing.